Spoilers: it would basically be the best thing, judging from these mash-ups by renegade21. 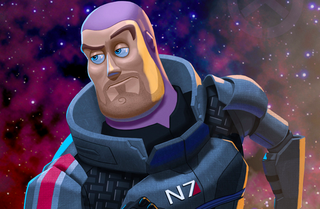 I mean, Toy Story x Mass Effect, for example...it feels so right, no? It's not the only mash-up renegade21's concocted. Here are a few more. Enjoy! You can check out more of renegade21's work here.